When it comes to naming sports that pay big to the players, especially at a professional level, tennis is one name that just cannot be given a miss. Starting from the exceptional players like Roger Federer who happen to be one of the front faces of tennis in the current scenario, to the rising stars showing great potential, like Andy Murray, even Rafael Nadal, the king of clay court enjoys huge income. All the tennis-superstars enjoy great income, besides their popularity for their magic hand with the tennis racquet. The prominent figures of the tennis world receive millions as prize money from their WTA or ATP tours. Besides, numerous sponsorships from brands like Mike, Rolex, Mercedes-Benz and many more play a key role in boosting their income. The sponsors happily sign cheques with big amounts to their brand ambassadors, who receive the same adulation as Hollywood celebrities do, not only for their achievements on court but also their appearance on screen. So, let us have a look at the Top 10 Highest Paid Tennis Players 2015. 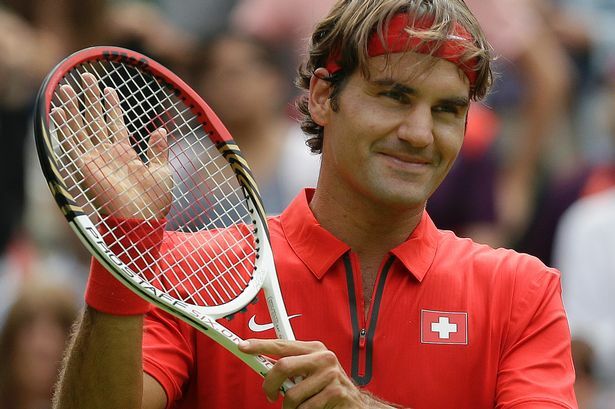 Roger Federer is the legendary Swiss professional tennis player who is currently ranked world No. 2 as of 3 November 2014 by the Association of Tennis Professionals. In the recent season of ATP, he earned a total of $52 million in endorsements from various companies and also achieved $4.2 million as the prize money which collectively earned him a total of $56.2 million this year. In his active tennis career till date, he earned a total of $84 million worth of prize money. Roger Federer currently appears in numerous campaigns and TV commercials for several of his endorsers such as Nike, Rolex and Credit Suisse. He already won 82 career titles till date, which is the third highest in the Open Era. His career is decorated with five US Open titles and also seven Wimbledon titles. 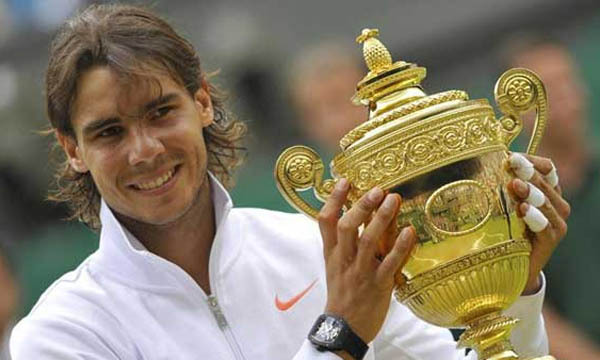 Rafael Nadal is the legendary Spanish professional tennis player who is currently ranked world No. 3 as of 3 November 2014 by the Association of Tennis Professionals. In the recent season of ATP, he earned a total of $30 million in endorsements from various companies and also achieved $14.5 million as the prize money which collectively earned him a total of $44.5 million this year. In his active tennis career till date, he has earned a total of $70 million worth of prize money. Rafael Nadal currently appears in various campaigns and TV commercials for several of his endorsers such as Gillette, Rolex, Mercedes-Benz, Lindt and Moët &amp; Chandon. He already won 64 career titles till date which is the fifth highest in the Open Era. His career is decorated with a record nine French Open titles and also two Wimbledon titles. Novak Djokovic is the legendary Serbian professional tennis player who is currently ranked world No. 1 as of 3 November 2014 by the Association of Tennis Professionals. In the recent season of ATP, he earned a total of $21 million endorsements from various companies and also achieved $12.1 million as the prize money which collectively earned him a total of $33.1 million this year. In his active tennis career till date, he has earned a total of $67 million worth of prize money. Novak Djokovic currently appears in several campaigns and TV commercials for several of his endorsers such as Mercedes-Benz, Audemars Piguet, Sergio Tacchini, FitLine and Srbija. He already won 47 career titles till date and is the reigning champion of the Australian Open. His career is decorated with a record nine Australian Open titles and also two Wimbledon titles. 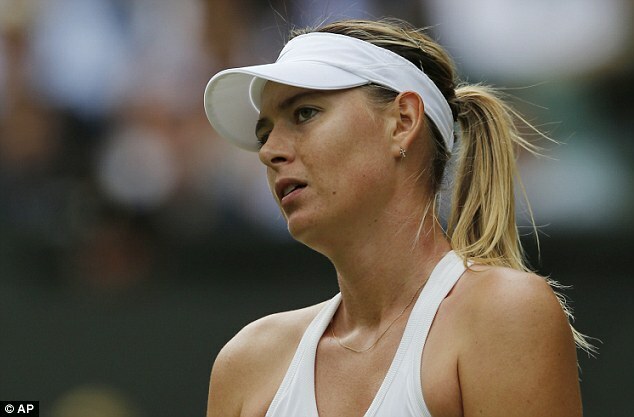 Maria Sharapova is the legendary Russian professional tennis player who is currently ranked world No. 2 as of 3 November 2014 by the Women’s Tennis Association. In the recent season of ATP, she earned a total of $22 million in endorsements from various companies and also achieved $2.4 million as the prize money which collectively earned her a total of $24.4 million this year. In her active tennis career till date, she has earned a total of $31 million worth of prize money. Maria Sharapova currently appears in various campaigns and TV commercials for several of her endorsers such as Nike, Evian, Head, Samsung, Tag Heuer, Motarola, Tiffany and Land Rover. She won 33 WTA titles and 4 ITF Titles in her active career. She earned the 2004 Wimbledon title and the French Open two times. 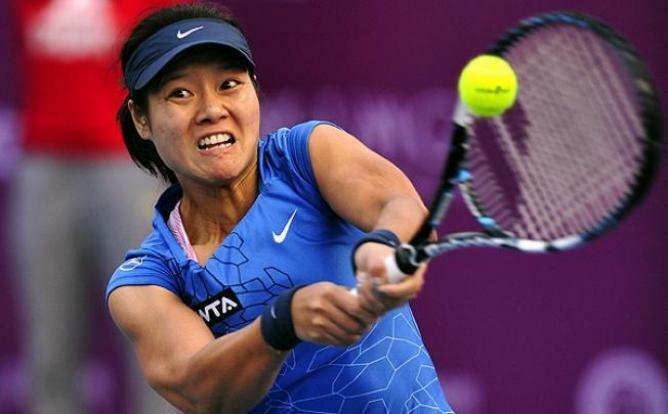 Li Na is the legendary Chinese professional tennis player who is currently ranked world No. 9 as of 3 November 2014 by the Women’s Tennis Association. In the recent season of ATP, she earned a total of $18 million in endorsements from various companies and also achieved $5.6 million as the prize money which collectively earned her a total of $23.6 million this year. In her active tennis career till date, she has earned a total of $16 million worth of prize money. Li Na currently appears in many campaigns and TV commercials for several of her endorsers such as Häagen-Dazs, Visa, Nike, Rolex, Samsung, Mercedes-Benz and Babolat. She won 2 WTA titles and 16 ITF Titles in her active career. She gained the 2014 Australian Open title and the 2011 French Open. 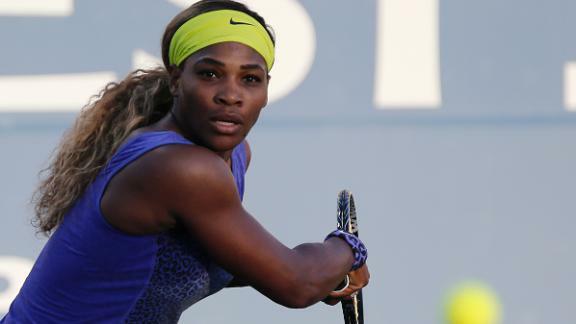 Serena Williams is the legendary American professional tennis player who is currently ranked world No. 1 as of 3 November 2014 by the Women’s Tennis Association. In the recent season of ATP, she earned a total of $11 million in endorsements from various companies and also achieved $11 million as the prize money which collectively earned her a total of $22 million this year. In her active tennis career till date, she has earned a total of $63 million worth of prize money. Serena Williams currently appears in many campaigns and TV commercials for several of her endorsers such as Nike, Wilson, Gatorade, OPI, Tampax, Hewlett-Packard, Kraft and Puma. She already won 64 WTA tour titles till date which is the seventh overall highest in the Open Era. Her career is ornamented with six US Open titles and also five Wimbledon titles. 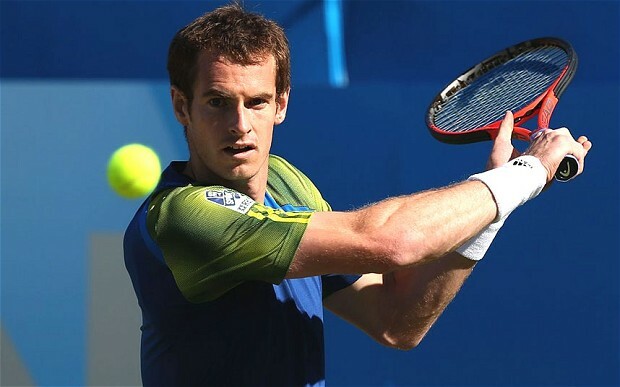 Andy Murray is the legendary British professional tennis player who is currently ranked world No. 6 as of 3 November 2014 by the Association of Tennis Professionals. In the recent season of ATP, he earned a total of $15 million in endorsements from various companies and also achieved $4.1 million as the prize money which collectively earned him a total of $19.1 million this year. In his active tennis career till date, he has earned a total of $33 million worth of prize money. Andy Murray currently appears in numerous campaigns and TV commercials for several of his endorsers such as Adidas, Head rackets, Royal Bank of Scotland, Highland Spring, Jaguar, Rado watches and Fred Perry. He won 31 Career Titles in his active career. He achieved the 2012 US Open title and the 2013 Wimbledon. Victoria Azarenka is the legendary Belarusian professional tennis player who is currently ranked world No. 32 as of 3 November 2014 by the Women’s Tennis Association. In the recent season of ATP, she earned a total of $7.5 million in endorsements from various companies and also achieved $3.6 million as the prize money which collectively earned her a total of $11.1 million this year. In her active tennis career till date, she has earned a total of $24 million worth of prize money. Victoria Azarenka currently appears in various campaigns and TV commercials for several of her endorsers such as Nike, Esurance, Wilson, Red Bull and watchmaker Citizen. She won 17 WTA titles and 1 ITF Titles in her active career. She won the Australian Open two times consecutively in 2012 and 2013. 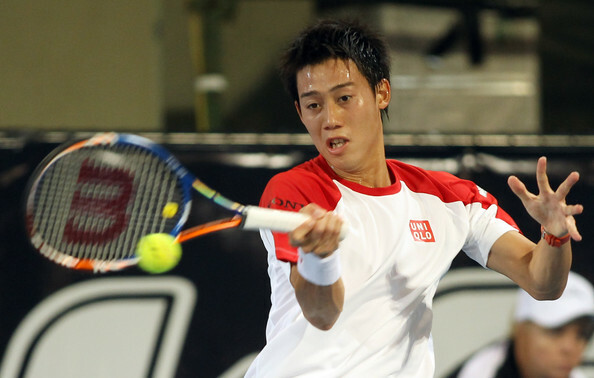 Kei Nishikori is the legendary Japanese professional tennis player who is currently ranked world No. 5 as of 3 November 2014 by the Association of Tennis Professionals. In the recent season of ATP, he earned a total of $9 million in endorsements from various companies and also achieved $2 million as the prize money which collectively earned him a total of $11 million this year. In his active tennis career till date, he has earned a total of $7 million worth of prize money. Kei Nishikori currently appears in various campaigns and TV commercials for several of his endorsers such as Uniqlo, Wilson, Adidas, Delta Airlines, Weider and Tag Heuer. He already won 7 career titles till now in his active sports career. Nishikori is the recent year’s finalist of US Open 2014. Caroline Wozniacki is the legendary Danish professional tennis player who is currently ranked world No. 8 as of 3 November 2014 by the Women’s Tennis Association. In the recent season of ATP, she earned a total of $9.5 million in endorsements from various companies and also achieved $1.3 million as the prize money which collectively earned her a total of $10.8 million this year. In her active tennis career till date, she earned a total of $19 million worth of prize money. Caroline Wozniacki currently appears in several campaigns and TV commercials for several of her endorsers such as Adidas, Yonex, Proactiv, Rolex and Sony Ericsson. Till now, in her active playing career, she has won 22 WTA career titles and 4 ITF titles. She reached the finals of the US Open Championships two times. Needless to say, the list is subject to changes, since it is likely that the cumulative income as well as the prize money of the players can affect their positions by the end of the year. For the time being, the big cheques from the megabrands, in sync with their career statistics, seem to be keeping the players happy, be it the new-comers or the big fishes.